Oil prices tumbled after Goldman Sachs cut its forecasts for oil prices warning that they can go as low as $20 a barrel. The blame game of supply-demand across countries has brought a lot of bad news to the oil industry and its prices. 1. Supply Increases in U.S. US and Canada have significantly increased the global oil supply. The U.S has seen a sharp rise in its oil production with increasing number of shale oil wells. US still remains the largest consumer of oil and with innovative hydraulic drilling in shale rock (fracking), it is slowly moving towards being a net exporter from a net importer. Effects of oil price fall in the US will not be good news if it lasts for a long period. This is because fracking is a more expensive procedure than traditional drilling. So if the oil price falls further for a long period, then fracking cost can be unsustainable. Adding to this last year, the permits for shale oil has significantly dropped, according to Reuters. Oil demand across the globe has fallen considerably and this is due to many reasons: strong dollar and domestic economic collapses. Dollar has become stronger and it is bad news for countries that buy outside US. Since oil is bought and sold in US dollars across the world, weaker domestic currency to a strong dollar can weaken demand and put a downward pressure on the already falling oil prices. Crude oil production by Organization of the Petroleum Exporting Countries (OPEC) is a very important factor that affects oil prices. This organization has 12 members (6 in Middle East, 4 in Africa and 2 in South America) and it actively manages oil production. OPEC member countries produce 40% of world’s crude oil and export 60% of total petroleum; its actions and decisions influence the movements in oil prices. Oil markets often respond to changing expectations of future supply and demand. Crude oil prices have seen an increase when OPEC production targets have been lowered. OPEC refuses to cut output in order to push up the oil prices because by doing so it will further benefit non-OPEC oil producers. OPEC Basket is a weighted average of prices for petroleum blends produced by OPEC countries. It is used as an important benchmark for crude oil prices. Unplanned disruptions of supply amongst OPEC and Non-OPEC countries can affect prices. Even though the organization tries its best to maintain projected price levels, member countries do no always comply with the established targets by OPEC. Any non-cooperation amongst members in OPEC can lead to reduction in oil production. The magnitude of the disruption and global supply disturbances can cause prices to fluctuate. Russia, US and Saudi Arabia produce a third of the global supply. Falling oil prices has been a concern to Saudi Arabia, which is the largest producer in the OPEC. In March, the country increased its daily production by 655800 barrels. Any changes in Saudi Arabia crude oil production result in changes in WTI oil prices. However, Saudi is planning to pull back its production to about 200,000 to 300,000 barrels a day, bringing production to about 10.3 million barrels a day. According to Saudi prince Turki Al-Faisal each country “wants to protect their share of the market” and these include both OPEC countries and non-OPEC countries like Russia and US. 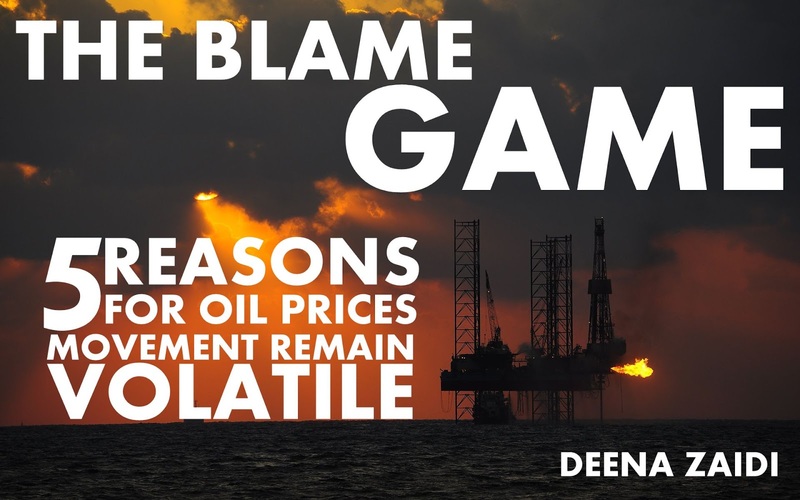 While the fight to market share in the oil industry is benefitting one part of the world, it is causing a serious damage to nations that are oil driven and are caught amidst the blame game of oil!